Image courtesy of Cody Parmenter Photography. Always striving to think outside of the box, the World Conformation Horse Association will offer new classes for Intermediate Non-Pro Exhibitors at the 2019 WCHA Breeders Championship Futurity, held in conjunction with the American Paint Horse Association World Championship in September. To qualify as an Intermediate Non-Pro is simple. It’s a Non-Pro exhibitor who has never won a World or Reserve World Title in Halter competition within AQHA or APHA. Additionally, immediate family members of WCHA trainers and WCHA judges are excluded from competing as an Intermediate Non-Pro. WCHA is offering two All Age Weanling Classes- one class for fillies and a second class for colts (stallions/geldings). 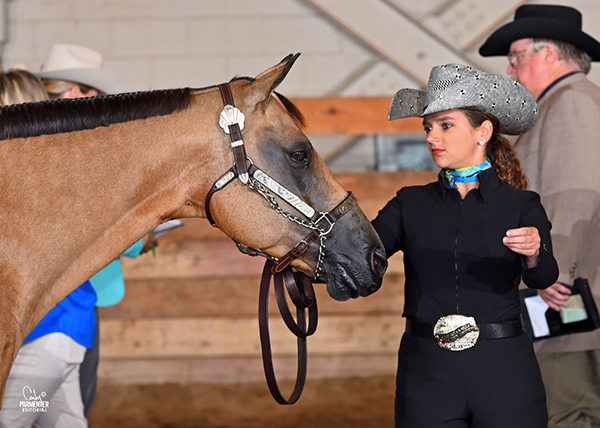 These two classes will be held separately from their corresponding Open/Non-Pro/Color/OBE weanling classes so that these competitors compete against other Non-Pros within the same level and to a different set of judges. An additional incentive for entering the Intermediate Non-Pro class is the cost savings WCHA is offering. The entry fee is structured as a one-time flat fee of $500. This flat fee gets an Intermediate Non- Pro entry into all three divisions: Open, Regular Non-Pro, and Intermediate Non-Pro. The flat fee allows the Intermediate Non-Pro a FREE entry into the corresponding Open and Regular Non-Pro class, which will not only give competitors a minimum of a $700 savings, but also provides them the opportunity to earn monies in all three divisions for one entry fee. Entry forms will be posted for all WCHA Breeders Championship and Big Money futurity classes by April 15th. For more information about the WCHA Intermediate Classes and Breeders Championship Futurity please contact the WCHA Office at office@conformationhorse.com or continually check the WCHA website for updated information, www.conformationhorse.com.